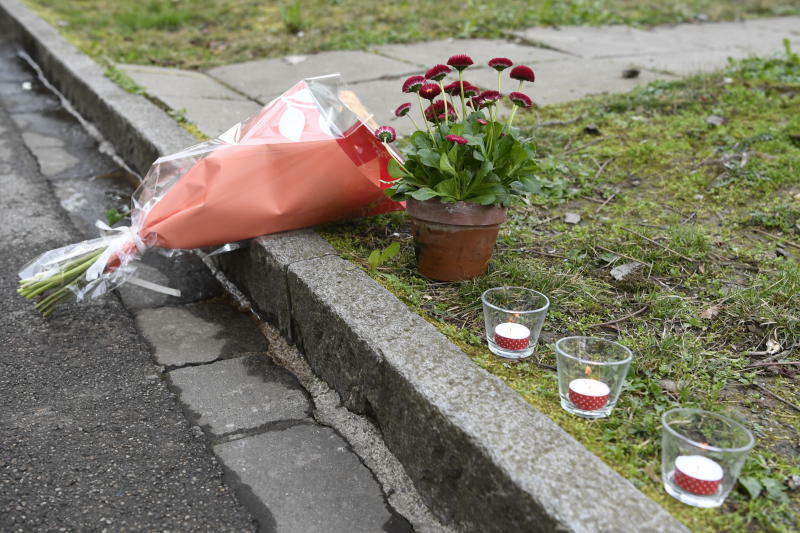 BERLIN (AP) — The family of a seven-year-old boy stabbed to death in Switzerland as he walked home from school, apparently by an elderly woman he didn't know, expressed shock Friday over the attack and said they're still trying to understand what happened. A 75-year-old Swiss woman, who wasn't named, was arrested shortly after the attack Thursday in the northwestern city of Basel. Swiss prosecutors said the suspect may not be criminally liable and a psychological evaluation is being prepared. "When we heard the news of what happened it was very shocking for us," the victim's uncle, Syle Mahmuti, told The Associated Press. Basel prosecutors said the boy's family was originally from Kosovo and that their investigations indicated he hadn't known the attacker. "We couldn't find any answer of what really happen, how it happened," Mahmuti said at his home in Lipjan, about 30 kilometers south of Kosovo's capital Pristina. "The only information we received was that he got a cut in the neck." Swiss prosecutors said an autopsy showed the boy, whose name wasn't released, had received "serious stab injuries to the neck" in the attack. "There was no reason," said Mahmuti. "He went to school same as other kids, at quarter to one he came out from school, in the street he ran in to the 75-year-old lady. "The rumors that we heard are that there was a bit of a scuffle, we don't know more," he added.